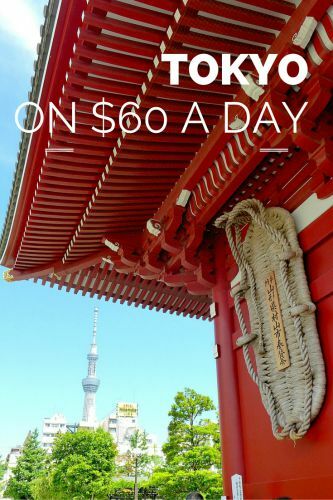 You are here: Home / Accommodation / Tokyo on a Budget: From $60 a Day! There are many things you can do to stick to your travel budget, no matter where you travel — Tokyo included. There’s no one best way to travel in Tokyo. You can do Tokyo on the cheap or you can spend a fortune if you want. my actual expenses during my five-day trip in Tokyo. I was traveling with a partner, but most expenses — aside from accommodation — should be comparable even if you’re traveling alone or as part of a bigger group. how you can travel on $60 per person per day (or even less!) 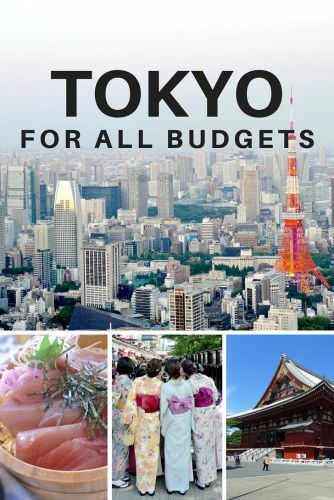 in Tokyo if you’re on a bare-bones budget trip. Tokyo is a dense city, so accommodation rates are high considering the small amount of space you get. Luckily, there’s a lot of variety, so you should be able to find something that fits your budget. If you’re traveling alone and you’re on a budget, stay in a hostel or a capsule hotel. Hostels and capsule hotels charge per guest. These beds go for as cheap as 3,000 yen per night. Start your search for a bed in Tokyo on Hostelworld. It’s no secret that I love AirBnB. On this trip, I went with a studio apartment in the Shinjuku area. It was tiny, but so, so convenient. Plus, my awesome host provided me with a pocket Wi-Fi HotSpot device and many stellar restaurant recommendations. For five nights, I paid $403, which worked out to be a little over $80 per night. AirBnB has a wide selection for all budgets in Tokyo, as they do in most other travel destinations. If you want to try it, click here to get a $25 AirBnB credit immediately after you sign up. Also, check out my exhaustive AirBnB guide. For hotels, you can start your search at HotelsCombined, which compares prices from hundreds of hotel booking sites. This will give you a good idea of how much a stay at a hotel would cost. 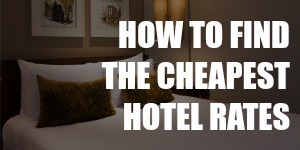 Check out my guide to finding hotel deals to get the most bang for your buck. Where Should You Stay in Tokyo? Aside from the type of accommodation you choose, the location would also affect your budget greatly. Staying in central areas tend to be more expensive, but you may save some money on transportation. Public transport in Tokyo runs from 5 a.m. to 1 a.m., so you have to take a cab home if you’re out late. Taxis in Tokyo, which are expensive enough during normal hours, tack on a late night surcharge of about 20% of the fare between 10 p.m. and 5 a.m.
Because my AirBnB studio was located in the Shinjuku/Kabukicho area, which was busy at all hours, I stayed out in the area as late as I wanted and simply walked home when I felt like it. Other than the late-night factor, it’s important that you choose a place close to a railway station. You may also want to stay where it’s convenient to reach from the airport — check out my blog post on traveling between Narita Airport and Tokyo to learn more. I stayed here and I loved it. Shinjuku has everything and there are people out and about at all hours. It’s a major transport hub and it’s super convenient to get around. (Shinjuku station is the busiest railway station in the world.) Kabukicho and Shibuya are within walking distance so there’s plenty of space for roaming on foot. You’ve probably seen the busy Shibuya crossing in pictures or movies. Shibuya and Shinjuku are practically next to each other, so this neighborhood is just as convenient. Another one of the city’s commuter hubs, Ikebukuro is home to department stores, electronic retailers, and Tokyo’s Chinatown. This neighborhood also has a lot to offer if you’re into otaku culture. Besides the weird and wonderful Roppongi Hills shopping center, the area is also home to many retail shops, restaurants, bars, and clubs. You’ll probably run into many expats here. Many foreign embassies are located in the Akasaka area, making it another popular spot for expats besides the nearby Roppongi. It’s also populated by office buildings that house corporate headquarters. You’ll find Tokyo’s more exclusive and high-end establishments here. Yes, there are ways to get free accommodation in Tokyo. Keep in mind that these options usually require a bit of work on your end. You’ll have to reach out to people online a few weeks before your trip to make the necessary arrangements. Plus, depending on which type of free accommodation you choose, you may have to do something to “pay” for the stay. Couchsurfing: With Couchsurfing, you’ll be staying with a local host for free, usually on a couch or in a spare room. Work exchange: Some businesses, usually hostels, would let you stay for free in exchange for labor. You won’t have to work 40-hour weeks, but this option is more suitable for travelers who have a lot of time to spend in Tokyo. House-sitting: Stay at someone’s house while he/she is away, water the plants, and keep the pets well-fed and happy. Home exchange: Stay at someone’s house, water the plants, and keep the pets well-fed and happy — while he/she does the same for you at your house. 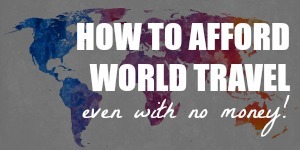 Click here to learn more about getting free accommodation anywhere in the world. Narita Airport is one to two hours away from Tokyo, so you should figure out how to make the trip before you land. There are a few transportation options from Narita Airport to Tokyo; click here to read a post where I review every one of them in detail. I’ll just briefly go through them here. The budget buses and trains are about 1,000 yen one way. If you’re willing to shell out a little more money, you’ll still be traveling on a bus or a train, but it’ll be more comfortable and convenient. Expect to pay 3,000 for a one-way journey. You can also get discounted return tickets for 4,000 to 4,500 yen per person. I went with the Airport Limousine Bus, which cost 4,500 yen per person for the return trip. Cab rides in Tokyo are expensive and you might want to only take one when you have to. For a long ride like the one from Narita Airport to Tokyo, expect to pay about 30,000 yen ($300). Public transport in Tokyo is super convenient. This is a crowded city that can’t afford to have too many private vehicles after all. Most people in Tokyo walk and take public transport everywhere. The railway network in Tokyo is complex and it may take you a while to fully grasp how to get from one station to another. Thankfully, the ticket machines do have an English language option and there are plenty of signs to help you find your way, so you should be fine. There’s a good reason why the railway network is so complicated: you can pretty much go anywhere you want in Tokyo using trains because there are stations everywhere. Just remember that Tokyo public transport runs from 5 a.m. until 1 a.m. There are buses in Tokyo, but you probably won’t need them — which is a good thing because the railway is easier to navigate. Single-use ticket: You can purchase a single-use ticket every time you take the train. You should be able to figure out how much the trip costs from the signs at the station. If you’re not sure how much to pay, just buy the cheapest ticket and settle the difference at your destination station using the fare adjustment machine near the turnstiles. Transit card: If you purchase a transit card instead of a single-use ticket, you would have to place a refundable 500-yen deposit (about $4). You can top up the card using the machines at the stations. There are two types of cards: the Pasmo Card and the Suica Card. The two cards are issued by different companies, but it doesn’t make a difference which one you use to get around in Tokyo. Unlimited day pass: If you’ll be hitting many different areas of Tokyo in one day and you’ll be taking the train a lot, you may be tempted to get an unlimited day pass. But in most cases, it’s more economical to get the regular tickets rather than the day passes. Keep in mind that there are multiple railway operators in Tokyo and each has its own version of a day pass that you can only use for the trains that run in that particular operator’s railway lines — these day passes cost between 600 and 1,000 yen. There is a day pass that covers all train lines and it costs 1,590 yen. During our five days in Tokyo, we spent 6,280 yen on public transport for the two of us. This includes the 500-yen deposit on each card. We could’ve returned the cards to get the deposit refunded, but we decided to keep them for future trips to Japan. Excluding the deposit, we spent 5,280 yen in 5 days. That works out to 528 yen per person per day. Taxi fares in Tokyo are among the most expensive in the world. The cost of a taxi ride in Tokyo starts from about 700 yen for the first 2 km. After that, it’s an additional 90 yen for every 300 m.
If you’re on a budget, you should only take a cab when you have to, like if you need to go home late at night and the trains have stopped running. As I mentioned above, taxis usually charge an extra 20% when your ride is very late at night or very early in the morning (the late night hours start around 10 p.m. until 5 a.m.). I love Japanese food so this was the time to pig out. In five days, the two of us spent 55,720 yen on food and drinks. You can definitely spend way less than that on food and drinks — we had quite a few splurges, like a multi-course blowfish dinner and a sashimi breakfast at the fish market. It’s hard to say how much the cost of food in Tokyo is. The average meal cost in Tokyo for you can be 500 yen or 50,000 yen; your expenses in this category will depend on your choices. In this section, I’ll show you how to spend as little money as possible on food and drinks in Tokyo. Note on tipping: Remember that you don’t have to tip in Japan, so the food prices in Tokyo are exactly as you see on the menu (plus tax and maybe service charge, depending on the restaurant). Tipping can actually be seen as offensive by the Japanese. Here’s one tip that can easily save you a few hundreds dollars: take advantage of lunch sets. If there’s a restaurant you really want to try, go there during the day. Yes, lunches are cheaper than dinners in many cities around the world; that’s not a very well-kept secret. But in Tokyo, a lunch set often costs a just a small fraction of what a dinner would cost. For example, we had lunch at the Michelin-starred Nakajima for about 800-900 yen per person; dinner at the same place starts from 8,000 yen. If you just want a small meal or a snack, head on over to the nearest convenience store, where you’ll find cheap, delicious food. I’m not kidding. Japanese convenience stores sell a wide variety of delicious, ready-to-eat dishes, like sushi, onigiri, and even cakes. If you’re staying at AirBnB or at a hostel, you may have a kitchen you can use to cook your own meals. Even if you only have a coffee-making station, electric kettle + instant noodle = full stomach. The eateries in Tokyo provide water and tea for free, so just stick to these if you’re on a budget. And if you get thirsty while you’re out exploring, vending machines are everywhere, selling drinks that cost anywhere between $1 and $3. I even spotted one vending machine that exclusively sold alcoholic drinks. Tokyo has many free attractions, so you could actually get by without spending anything on attractions. We spent 4,600 to access the observation deck at Roppongi Hills, 11,900 on the Robot Restaurant in Kabukicho — weirdest show ever, by the way — and 2,000 to spend some time in a cat cafe. So in total, 18,500 yen for the two of us throughout the entire trip. Grand total: The two of us spent 88,500 yen and US$403 on our five-day trip in Tokyo. Based on current exchange rates, that’s about $1,150 for two people over five days — or $115 per person per day. It’s definitely possible to explore Tokyo for way less than we spent. The following expenses are based on a five-day trip because that’s how long we stayed in Tokyo so it’s easier to make the comparison. Stay at a hostel at 3,000 yen per night. Accommodation = 15,000 yen for five nights. Take a cheaper bus from Narita Airport to Tokyo. Transport to and from the airport = 2,000 yen. I don’t think we could’ve spent less on public transport within the city, so 5,280 yen for two people in five days seems right for a budget traveler. Transport within Tokyo = 2,640 yen. One of our meals alone cost 13,000 yen, so those expensive meals do skew the numbers. If we had stuck with 1,000-yen meals, we could’ve easily halved our food and drinks expenses. Assuming two full 1,000-yen meals a day for five days, you would spend 10,000 yen. Let’s add 50% on top of that for snacks and drinks. Food and drinks = 15,000 yen. Based on these numbers, your expenses during your trip in Tokyo would be 34,640 yen for five days or 6,928 yen (almost $60) per person per day. Avoid eating out as much as possible. Maybe set a goal to only eat out once a day and then for the rest of the day you can cook your own food or buy ready-to-eat food from convenience stores. Stay longer and travel more slowly. This can lead to lots of savings. For example, you can probably get discounted weekly or even monthly rates for your accommodation. 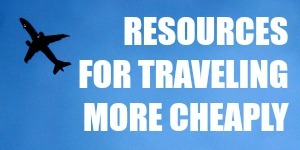 Plus, traveling slowly usually means spending less time going out and therefore spending less money as well. Because I only had five days in Tokyo, I walked out of my AirBnB studio every morning and didn’t come back until late at night. Have you been to Tokyo? Was it as expensive as you expected? Or are you planning to visit Tokyo in the near future? Tell me all about it in the comments! Fantastic job for the in-depth write up! I was looking around and saw $60, then Japan, and I was like really? Great job on that! You said it yourself, it\’s a destination known to be quite expensive. I was there and it was a wonderful experience, no one should miss out on that! Completely agreed! I can’t wait to go again! Thank you for this guide. Going in October for 3 days and 4 nights. The transport and how much to budget for is prob what is confusing me most. We are flying into Narita and I haven’t decided where to stay yet but saw a traditional place that looks interesting. Can’t remember now exactly where. Such a good break down! I’m going to Japan in January (Tokyo, Kyoto and Osaka). Question about the transportation card. Can you use the transit card on all lines? I know you said there were two types of cards (Pasmo and Sucia)… but can you use either of these on all the lines? I think I’m going to go with getting a transit card. I have done that in all the cities I’ve visited in Asia so far! Hi Samantha, I only had the Pasmo card when I went and I used it anywhere. Have fun! Great – I’m planning on purchasing the pasmo card. I see you can get a refund on the card, too, once you’re finished with it. Some people like to keep it as a souvenier! This is such a helpful guide! We were planning on visiting Japan last year when we were in Asia but my mom told me how much more expensive it is compared to SE Asia so we decided not to go. But I’m dying to go to Japan especially since my mom always talks about how amazing it is, I wouldn’t mind eating cheap ramen the whole time there! Japan is awesome, Samantha, do go! I’m planning to go again myself next year. I guess I’m hooked. Japan is definitely not cheaper than SE Asia (few places are), but it’s not that bad. Haven’t crunched the numbers yet (got back 2 days ago) but food was NOT as expensive as I thought! Biggest expenses were definitely transport (got a JR pass – we also went to Kyoto/Osaka) and accommodation. It was surprising to me too that food wasn’t expensive at all. We definitely splurged — guilty! :D — but I saw lots of places serving really cheap meals under 1,000 yen.